Home / Stock Picks / Stocks to Buy / Is There Something Wrong With Amazon Stock? So far this year, Amazon stock is up 16%. That’s good. But it’s below average. The NASDAQ-100 is up nearly 17% in 2019. Amazon’s 16% return in 2019 is also the second-weakest of the well-followed FAANG group, ahead of only Alphabet (NASDAQ:GOOG) . Apple (NASDAQ:AAPL) s up 19%, Facebook (NASDAQ:FB) has risen more than 20%. and Netflix (NASDAQ:NFLX) has jumped more than 30%. In December 2018, AMZN stock fell more than 35% below its all time highs. That is roughly in-line with the performance of the other FAANG stocks during the market’s slump. Meanwhile, Amazon stock still trades about 15% off its all-time highs. 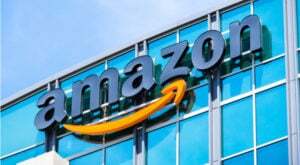 Article printed from InvestorPlace Media, https://investorplace.com/2019/03/is-there-something-wrong-with-amazon-stock/.